We've got a quick tip pointed out today by Reddit user SuperNanoCat. When writing in an editable text box on Android, users can highlight a word or chunk of text, then press and hold to drag it around. This feature has actually been around for quite some time, possibly as far back as Ice Cream Sandwich, but it's a feature most users have only used accidentally. 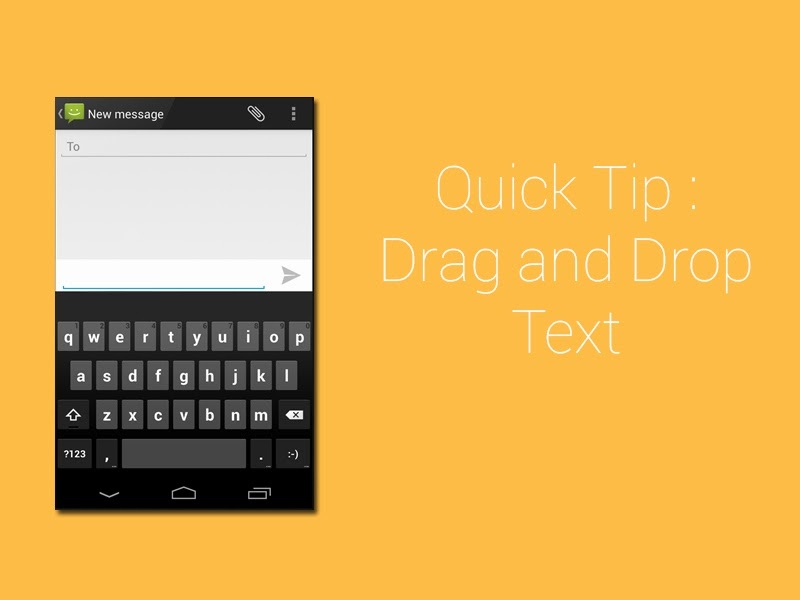 This feature does not work with other text fields like Play Store, Drive and Documentations.